On its own, Salesforce can dramatically improve how companies run their sales operations, support their customers, and provide products and services. But Salesforce can be even more valuable with integration. 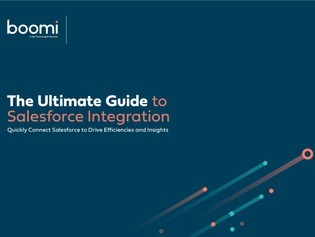 Open this whitepaper to learn how Salesforce integration can enable you to automate manual data management tasks, ensure far more accurate customer data, quicken business workflows, and provide much greater operational visibility for your organization.